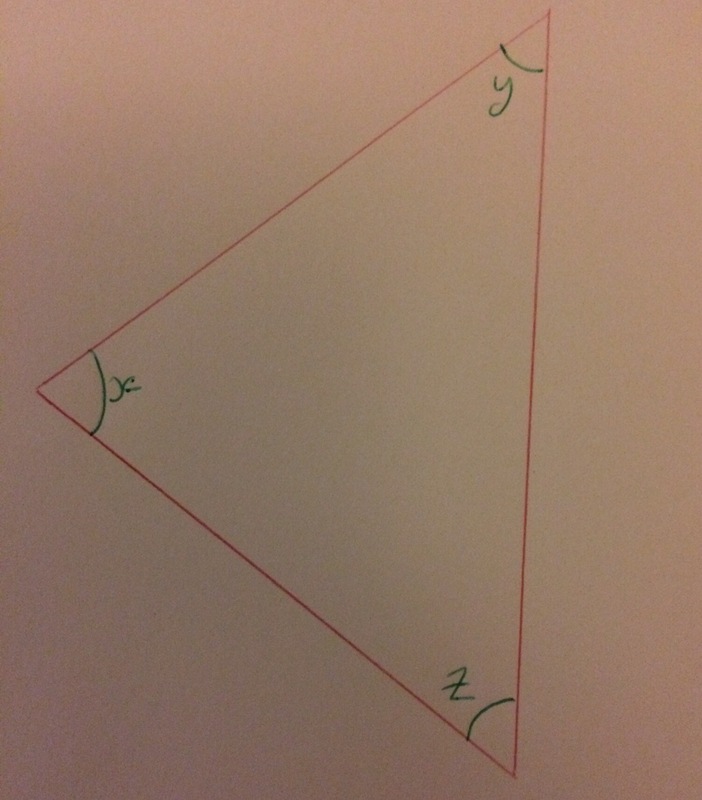 One of my students then said the fabled “but that isn’t a triangle Sir”. I questioned why they didn’t think it was a triangle and I was told that it “just doesn’t look like a triangle”. We then had a good discussion about what makes defines a triangle, before settling on it being a three sided shape, at which point they accepted the shape I had put on the board was a triangle. I think this statement highlights the over-use of similar questions. I don’t understand why so many questions in text books have triangles with at least a horizontal base, if not right angled too!